The Middle East Optical Industry Is The Winner! 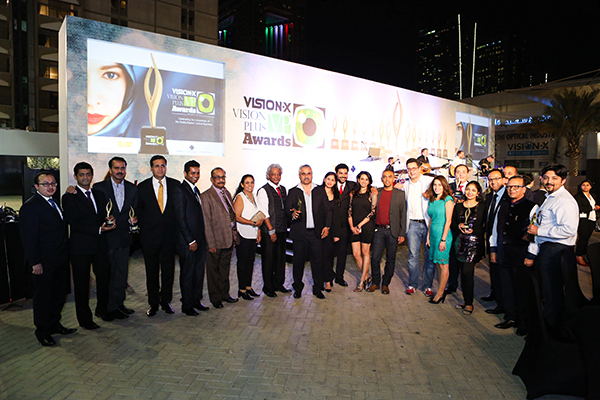 15 awards, apart from a Special Jury Award, were given to deserving winners at a gathering never before experienced in the Middle East with the who’s who of the industry coming together to show their solidarity with VisionPlus Magazine and Vision-X. “It’s not just about the winners. Of course, I am sure the winners are thrilled, but I am happy for the industry as a whole. They have been sporting and have come together to support this event in a very open and transparent manner and I am sure this unique combination of camaraderie and competition will go a long way in helping the industry prosper. This is a win for the Middle East Optical industry,” said an elated Siraj Bolar, Editor-in-Chief of VisionPlus Magazine, during the event.